Content marketing is getting a lot of attention lately. And with good reason. Outside of interactions with peers and colleagues, B2B buyers are making their short lists based on the content they find online. Content marketing helps you deliver the information your prospects are seeking – and gives you a significant advantage over the competition. 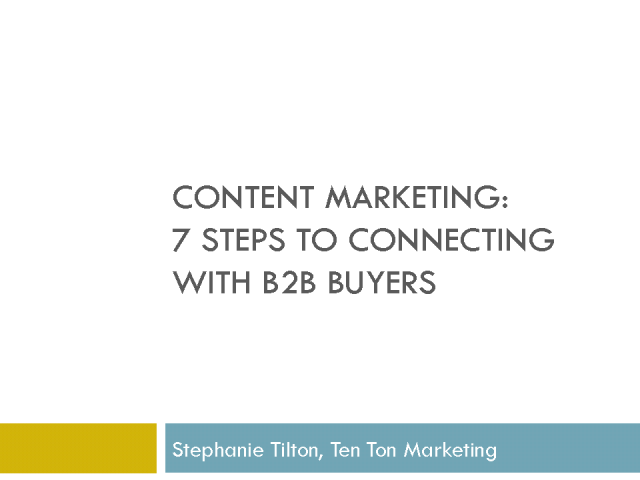 Learn how to generate content that attracts and engages buyers, hear ideas for getting maximum value from every content asset, and discover ways to make it easy to find, consume, and share your content.